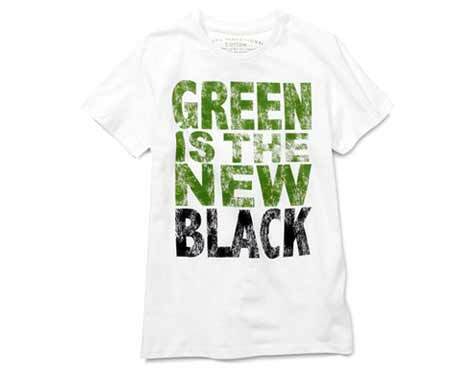 Campaigning with Clothes:Branded by Wearing 'Green' — Anna Akbari, Ph.D. The age-old statement ‘you are what you eat’ spills over to the fashion world, where it is also fair to say ‘you are what you wear.’ At Sociology of Style, we’re all in agreement that fashion as status is a cultural truism, but what happens when our clothes not only ‘make the [wo]man,’ but serve as a medium to make ethical or political statements as well? We’ve already written an article on the ways political candidates dress for their party and electorate in “Whose Flag is Bigger?” However, beyond the red ties growing stale in Mitt Romney’s closet, the rise in environmental awareness and eco-friendly designs are making the concept of campaigning via clothing much more mainstream. Whether the message be as overt as wearable billboards in the form of graphic tees, or as subtle as the eco-friendly face cream you put on every morning, the products we endorse hold the cachet to embody civic affiliations. 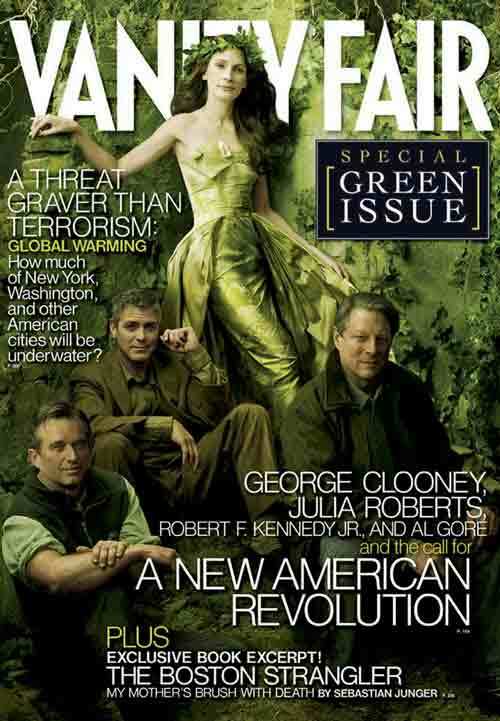 There was a time when ‘green’ fashion only went so far as kitschy t-shirts reading, “May the Forest Be With You” or “Keep Calm and Recycle,” and when it was not uncommon for environmentally conscious buyers to occasionally experience some form of eye-rolling, the same way that waiters sigh at vegan patrons questioning a carnivorous menu. Thankfully, going green has gone both glam and inconspicuously chic. Today’s world is filled with designers whose products won’t make anyone quick to call you a tree-hugger. The spectrum of sustainable fashion brands range from Levi’s WaterLess blue jeans to the Oscar’s red carpet worthy gown designed by Lanvin and worn by Meryl Streep. While it’s not the color but the material and sustainable practices that matter, it’s no coincidence that emerald reigned as a trending color this past season. As conscious consumers, the brands and fabrics we invest in call us to both reflect upon and outwardly project our beliefs the same way we choose a stance on fair labor practices, waste reduction, and sustainability. Both the high-end and ‘fast-fashion’ industries are taking measures to identify themselves with this greater social cause. The annual Christie’s Green Auction: Bid to Save the Earth “showcased that the fashion industry is increasingly rallying together to clean up its act.” Similarly, Zero Discharge of Hazardous Chemicals is a collective effort by brands like Nike, Adidas, Levi Strauss & Co and H&M to improve their environmental standards. CNN’s “Can the clothing industry ‘go green’?” illustrates some of the questions we are asked to deliberate on when making eco-friendly purchases, including: “Where was it made? How was it made? Who made it? What are the materials? How long will this last me? How do I care for it? How can I dispose of it when I’m finished with it?” Choosing whether or not to think about these questions is personal, but the purchases that follow are presented to the public. 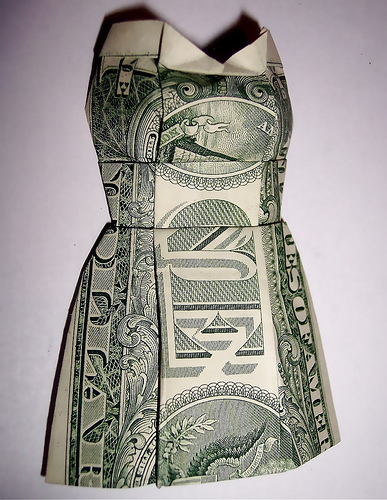 Unsure of how your wardrobe impacts the environment or where you stand on eco-friendly fashion? Get the facts from GreenLiving’s guide to Natural & Eco-Friendly Fabrics to learn how polyester is synonymous with petroleum. 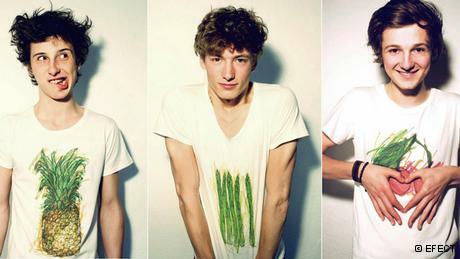 Or, how organic cotton can still be treated with carcinogenic dyes or chemicals like formaldehyde to prevent wrinkling. Sign up for Lux & Eco a daily deals site dedicated to responsible shopping for everything from beauty products and apparel to home decor and jewelry. Plus, choose from a list of charities to receive 5% of your purchase price. As we buy more of our clothing online, technology is helping every step of shopping become increasingly eco-conscious. Fashioning Change is a recommendation engine that takes information based on your favorite name brands and introduces you to the earth-friendly alternative. Join the discussion after listening to a podcast from BBC’s Women’s Hour, discussing the rise of ethical fashion: Green Fashion: Would You Really Wear It? 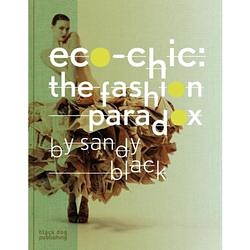 Go even further for the in-depth analysis and pick up Sandy Black’s book, Eco-chic: The Fashion Paradox. Ready to shop ‘green’? Fashion Marketing Magazine put together a great list of 10 Sustainable Fashion Brands and Designers You Should Know About, featuring jewelry by Jennifer Dawes made of recycled gold and responsibly mined stones, Italian-made vegan shoes by Mink Shoes, and recycled leather goods from Royal Blush. Ask Anna: Why are specific colors associated with certain holidays?